Seven year old Pushkin, aka Petu wants to become a member of the Gap Club, but he must lose something very important to get its membership. In the meantime, the Club lands itself into trouble by agreeing to play a football match against fourth graders; the losers will be termed crybabies. Not only does this motley club not have a football to practice with, precious time is wasted as Petu does not lose the second important thing that will fetch them a football! Is there any hope for the Gap Club, and will help arrive in time? 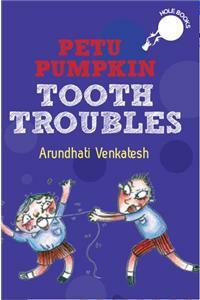 With a keen eye on the problems that are unique to young 7-10 year olds, Petu Pumpkin Tooth Troubles is a delightful book for young children. The author keeps the narrative tight and simple, and the illustrations by Shilpa Ranade add tremendous value in expanding the depth of the story. 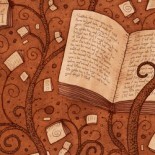 A definite hOle book to enjoy! This entry was posted on February 22, 2015 by Preeti Singh in Book Reviews, Kids and tagged Arundhati Venkatesh, Duckbill, hOle books, Petu Pumpkin Tooth Troubles.